I have wanted one of these for ages, but lack of spare money held me back, so you can imagine how delighted I was when I was offered the review. This new model of the SodaStream includes a Fizz Chip which lets you see just how much fizz you are adding to your drink. This is a very hand feature, as it lets you vary just how fizzy you make your drink and means you don't end up using more gas than you need to in order to make your drink as fizzy as you want it. Setting it up was really easy. I was expecting it to be more difficult. Putting the gas canister in takes less than 30 seconds and simply involves removing the back cover and screwing it into place. Then once it's screwed in tightly (this is done by hand - you don't need tools), you just replace the back and you're ready to go. For some reason, I was expecting it to plug into the electric, but this is not the case which makes it very cost effective. Making the drink is really easy - you fill up the drinks bottle to the fill level with tap water (though I used bottled still water as our tap water tastes of bleach!) and then press the button on the top to flip out the front and then you screw the bottle into place. Again, this is a quick and easy process that takes less than 30 seconds to do. You then press the lever on the front until you hear the buzzing - this is how you carbonate or "fizz" your drink. You use the Fizz Chip indicator to see how fizzy you are making your drink. It has three levels of fizz - I found the lower amount worked best if you are likely to drink it there and then, whereas if you're making some to put in the fridge and drink over a couple of days, the second or third level of fizz work better and keep it fizzy for longer. Once you've fizzed up your water, you just unscrew the bottle the same as how you screwed it in to start with. Once you've fizzed your water, you add a cap full of the flavour you want slowly to the water whilst tilting the bottle. You have to pour it into the fizzy water really slowly. The first time I made some, I went for pouring it straight in and ended up with a big mess when it fizzed up really quickly and overflowed out of the bottle! The setting up and making my first drink took less than 5 minutes - I couldn't believe how quick and easy it was. I'd always pictured the whole process being more complex and time consuming, so I was very pleasantly surprised. Making a drink is so easy, my 8 year old son gave it a go and found it fun and easy! I liked the cherry - it was a lot nicer than the cherryade you buy in the shop. It had a very intense cherry taste too - it wasn't weak. My son liked this a lot, but the hubby said it was OK, but nothing special. My 9 year old sister liked it a lot, but my Mum had some and she said it was too sour - but she's not much of a fizzy drinks person, so that could be the reason. I didn't much like this flavour - of course, it's down to personal preference, but I found the drink just ended up tasting like fizzy flavoured water and I didn't enjoy it in the slightest. My hubby and our son didn't like it either. The new 21st Century SodaStream is available in a variety of colours - white, blue, titan, bold green or red and will look great in any kitchen. There are over 30 great-tasting flavoured SodaStream concentrates available - from fruit flavours to cola, sugar-free, energy, mixers and isotonic variants. 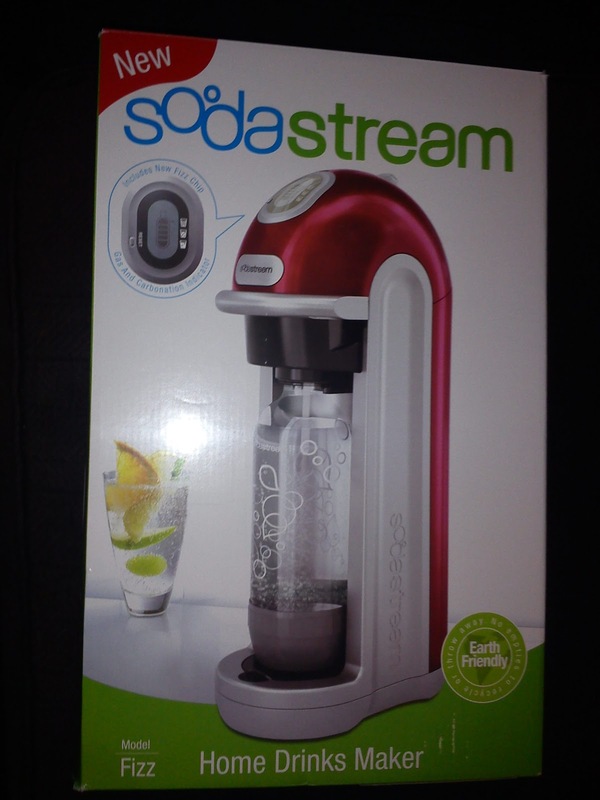 The new Fizz Chip Soda Stream is available from John Lewis and costs around £119. 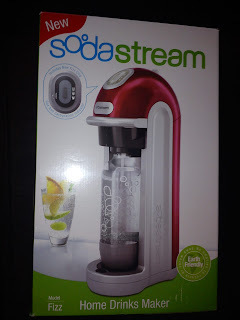 For more information, visit www.SodaStream.co.uk or look them up on Twitter @SodaStreamUK. I had the same problem with it last night when i tried making tonic .... that went all over the kitchen ooops! !